A federal judge in Washington on Friday urged a group of insurers to drop their challenge to block the Trump administration's short-term plan rule until they can prove that it's harming Affordable Care Act markets. U.S. District Judge Richard Leon accused the lawyer representing the not-for-profit Association for Community Affiliated Plans and other insurers of trying to "jump the line" to get the case to the U.S. Supreme Court, saying they can't show irreparable harm from the rule, which went into effect earlier this month. He also appeared skeptical that insurers could prove the rule disrupted the market even after people start enrolling in so-called short-term, limited duration plans for 12 months. 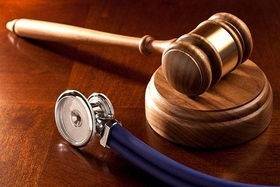 "It's extraordinary relief you're asking," Leon told ACAP's lead counsel Charles Rothfeld as he urged the plaintiffs to litigate the regulation once they have proof the rule has eaten into their enrollment. "What you have is the best guess of the people who are working for your clients." The insurers, led by the not-for-profit Association for Community Affiliated Plans (ACAP), offer ACA-compliant coverage on the individual market exchanges. ACAP argued that its associated insurers expect a financial hit of $50 million to $100 million and loss of at least 10,000 enrollees, which it claims is a conservative estimate. But Leon dismissed this estimate as speculation. He also appeared skeptical about the plaintiffs' claim that the recent expansion of short-term plans undermined ACA statute, noting that the Obama administration didn't shrink the duration of this coverage to three months from 12 months until the "waning hours" of 2016 after the election when officials knew that an administration with a different view of the law would take over. He said Obamacare's history so far has yielded enough data to show that ACA-compliant plans have failed to attract a large swath of young and healthy people, and that if short-term plans fill in a gap for those who are currently foregoing coverage the Trump administration's rule could reinforce the congressional vision of universal coverage. "They want me to have a crystal ball here," the judge said to the government's attorney Serena Orloff in one exchange. "I don't have a crystal ball. How do I know if this will harm the insurance market?" He also noted at one point that the attempt to block the rule now "is about protecting the interests of insurers invested in the ACA." The American Psychiatric Association and the National Alliance on Mental Illness were among the seven plaintiffs. Patient advocacy groups believe the rule will lead to rising premiums for the people with pre-existing conditions who need the comprehensive benefits of Obamacare plans. Leon emphasized that he believes the young and healthy people have already abandoned the ACA, and that a more significant change was Congress' effective elimination in 2017 of the individual mandate penalty. "That's why the ACA has been failing, am I correct, because the young and healthy people aren't signing up?" he said. The short-term plan rule, finalized in August, went into effect Oct. 2 and has become a key political weapon in states and in Congress, where Democratic senators led by Sen. Tammy Baldwin (Wis.) forced a vote to overturn the Trump administration's regulation. The measure failed to pass, with a tied vote. Supporters of the ACA characterize the rule, which allows up to 12 months of coverage through short-term plans and renewals for up to 36 months, as sabotage of the Obamacare markets since they are expected to draw younger and healthier people who are supposed to subsidize the costs of guaranteed issue in the exchanges. Short-term, limited duration plans don't have to cover people with pre-existing conditions or charge them more based on age, health status and gender, with no out-of-pocket caps. They do not have to cover the ACA's 10 essential benefit categories, including mental healthcare, maternity care and prescription drugs. Leon told the plaintiffs that he won't be able to render an opinion before open enrollment, particularly considering the magnitude and the complexity of the decision, as well as its national impact. He added that his decision will doubtless go to an appeal, and the insurers won't have a decision in time to make a difference for the 2019 plan year. "This isn't practical," he told Rothfeld. "Think this though, counsel."